Montsechia vidalii is the world’s first flower and world-oldest flowering plant from northeast Spain’s Montsec Range in the Pyrenees Mountain foothills. • 200,000,000+ years for flowering predecessors to emerge from gymnosperms (from the ancient Greek words γυμνός [gumnós, “naked”] and σπέρμα [spérma, “seed”]). They consider super-important ascertaining the first flowering plant’s emergence place and time. In-depth examination of Montsechia vidalii draws scientists closer to aquatic habitats of 130,000,000 years ago. Montsechia vidalii: illustrations based on fossilized remains show long- and short-leaved forms of the plant and a single seed. CC BY 2.0, via EurekAlert! 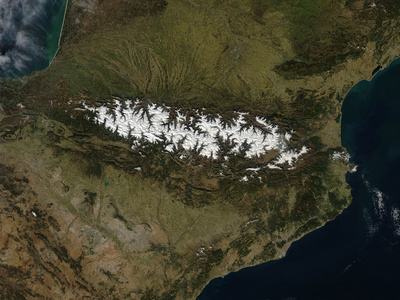 Mountains emerge as Spain’s dominant landforms. Central Spain’s Iberian Range and northeast Spain’s Pyrenean Range in fact furnish fossils of the fluffy, freshwater, frondy Montsechia vidalii. The genus nevertheless gives special emphasis to the aquatic plant’s fossilization in the fine-grained lithographic limestone deposits of the Montsec Range in the Pyrenees Mountain foothills. The aquatic plant’s bio-geography has the mountainous area’s configuration as extensive lakes during the Cretaceous Period of 66,000,000 to 145,000,000 years ago to thank for its preservation. It is comparison of 1,000 fragmented and intact fossils with ancient Spain’s famous, freshwater algae -- called charophytes (from the ancient Greek words χαρά [khara, “joy”] and φυτό [phyto, “plant”]) -- that inspires dating to 130,000,000 years ago. Montsechia vidalii: large intact specimen of the fossil; usually only small fragmentary pieces of are found. resembling Ceratophyllum, the dark green coontail or hornwort whose coarse, tufty leaves make it beloved by and integral to lovers of aquaria and ornamental ponds and of temperate and tropical marshes and streams. The knowledge leads to important realizations regarding flowering plant emergence locations and time a century after Montsechia vidalii’s original discovery and subsequent rejection as unhelpfully weedlike. Indiana University, CC BY 2.0, via EurekAlert! Monteschia vidalii additionally provides twenty-first century Earthlings with an even earlier dating than the previous claimant to the title of the world’s first flower: the 125,000,000-year-old Archaefructus sinensis from northeast China’s Yixian Formation. Comparisons with charophytes, freshwater green algae with fossil record dating back to Silurian (443.8–419.2 million years ago), facilitated dating of Montsechia vidalii to 130,000,000 years ago, within the Cretaceous period (145.5 and 65.5 mya). AFP. 17 August 2015. 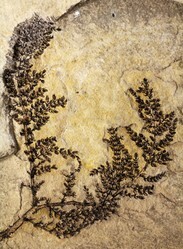 “Plant from 130 Million Years Ago is Among ‘First Flowers’: Study.” Yahoo! News > Science. Retrieved August 2015. “Ancient Underwater Plant ‘Could Be World’s First Flower.’ BBC News > US & Canada > 18 August 2015. Retrieved August 2015. Baird, Will. 17 August 2015. “Montsechia vidalii: Earliest Known Flowering Planet Discovered in Hautervian Cretaceous Spain.” The Dragon’s Tales: Ramblings of a Curiosity Seeker. Retrieved August 2015. Buchmann, Stephen. 2015. 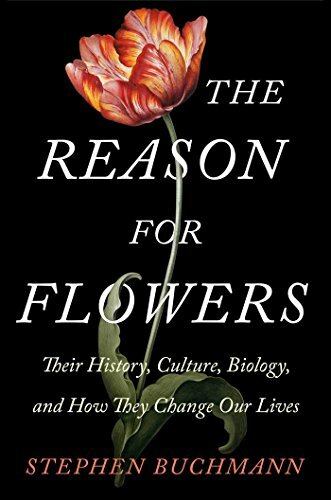 The Reason for Flowers: Their History, Culture, Biology, and How They Change Our Lives. New York; London UK; Toronto; Sydney; New Delhi: Scribner. “Earth’s First Flower?” Smithsonian National Museum of Natural History > Science News. Retrieved August 2015. Eck, Allison. 25 August 2015. “The World’s Oldest Flower Could Harbor Life-Saving Secrets of Ancient Pollination.” WGBH Educational Foundation > PBS Online > Nova Next > Evolution. Retrieved August 2015. Fryling, Kevin. 17 August 2015. “IU Paleobotanist Identifies What Could be the Mythical ‘First Flower’.” Indiana University Blooming > IU Bloomington Newsroom. Retrieved August 2015. Gomez, Bernard. “Montsechia vidalii (IMAGE).” EurekAlert! > Multimedia. Retrieved August 2015. Griffiths, Sarah. 17 August 2015. “World’s First ‘Flower’ Revealed: 130-Million-Year-Old Aquatic Plant May Have Been Eaten by Dinosaurs.” Daily Mail > Latest Headlines > Science > Pictures. Retrieved August 2015. Haines, Lester. 18 August 2015. “Boffins Identify World’s (Possibly) First Flowering Plant: 130-Million-Year-Old Fossils May be ‘Mythical’ Angiosperm.” The Register > Science. Retrieved August 2015. Khan, Amina. 17 August 2015. “’First Flowers’ May Have ‘Bloomed’ in Water, not on Land, Fossils Suggest.” Los Angeles Times. Los Angeles Times > Science / Science Now. Retrieved August 215. N.Bg. avec AFP. 19 August 2015. “La plus ancienne fleur du monde a été identifiée.” 20 Minutes > Sciences. Retrieved August 2015. Osborne, Hannah. 17 August 2015. “Mythical ‘First Flower’Potentially Discovered to be 130 Million-Year-Old Montsechia vidalii.” International Business Times > Science. Retrieved August 2015.
pskhun. 19 August 2015. “[PaleoBotany 2015] Montsechia vidalii An Ancient Aquatic Angiosperm.” Novataxa > Species New to Science. Retrieved August 2015. PTI. 19 August 2015. “Oldest Flowering Plant Bloomed in Shadow of Dinosaurs.” Live Mint > Politics. Retrieved August 2015. “Montsechia vidalii: Paleontologists Identify One of Earliest Flowering Plants.” Sci-News.com > Paleontology > Science > 18 August 2015. Retrieved August 2015. Sanchez, Nick. 19 August 2015. “World’s Oldest Flower Grew in Fresh Waters of Spain 130M Years Ago.” Newsmax.com > The Wire. Retrieved August 2015. Sanisidro, Oscar. “Montsechia vidalii Illustrations.” EurkAlert! > Multimedia Gallery > Marine Science Portal. Retrieved August 2015. Schneider, Caitlin. 26 August 2015. “World’s Oldest Flower Likely Lived Among the Dinosaurs.” Mental Floss.com > Biology > Botany > Fossils. Retrieved August 2015. Thomson, Helen. 17 August 2015. “Fossilised Remains of World’s Oldest Flower Discovered in Spain.” The Guardian > Science. Retrieved August 2015. Winter, Stuart. 18 August 2015. “World’s Oldest ‘Flower’ Is Thought to be 130 Million Years-Old.” Express Home of the Daily and Sunday Express > News > Nature. Retrieved August 2015. Montsechia vidalii, possibly the world's oldest flower, hails from the Montsec Range of the Pre-Pyrenees, foothills of the Pyrenees mountain range separating the Iberian Peninsula from France. Mira, The book is interestingly, practicably informative and looks so enticingly pretty in cabinets and on desktops, shelves, and tables! I ordered it on Kindle and I may order it as a book to give as a gift. Haven't had time to read anything yet. Mira, Book or Kindle? Both are nice but oh those photographs! frankbeswick, You're welcome. I particularly appreciate interactions with fellow plant lovers. frankbeswick, The researchers are proposing a new family called Montsechiaceae because of differences between Montsechia vidalii and its closest modern relatives in the Ceratophyllaceae family. To which plant family does the genus Montsechia belong? blackspanielgallery, Yes, it is! Fossils make it so that we have such a connection with what goes before, is now, and may be yet to come.